mot – the museum of contemporary art tokyo is definitely on my list every time i go to japan. opened in 1995, the museum has 4,000 sqm of galleries for temporary exhibitions and 3,000 for the permanent collection. this work of architect yanagisawa takahiko is the biggest contemporary art museum in the country. its permanent collection has some 4,000 pieces that are exhibited in rotation. the first time i went, in 2010, there was a cool husein chalayan retrospective. the premises also include content restaurant and cafe hai. the restaurant is fancier and more intimate. you can take advantage of the art library. browsing its 100,000 books is free of charge. click here for all the details. i laid back on poufs, in a dark room, mesmerized by a loop of footage. it showed a guy walking into tornadoes with a camera secured to his head. you see the guy chasing the whirlpools and the mood is so primitive and basic. it felt like the end of the world. the guy was becoming nature in this extreme way. i just couldn’t leave. 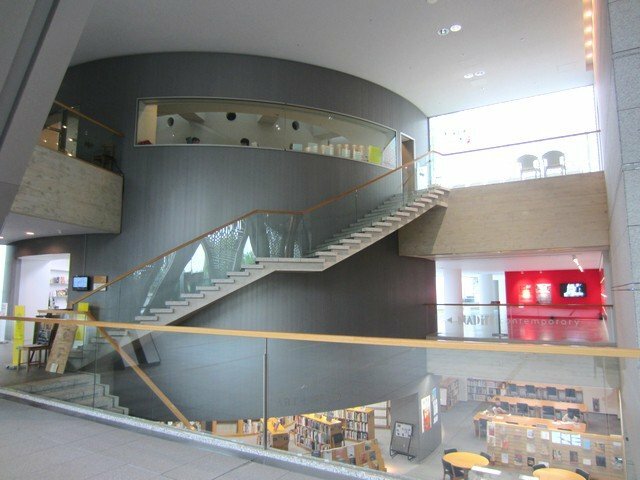 after you finish your visit, you can visit the kiyosumi gardens and then find this cluster of independent galleries. currently, you can see the michael gondry show, a performing show as well as a three-stage show celebrating the 20th anniversary of the museum. i wish i could see them myself. and then have lunch in the restaurant and pick up some interesting thing in the shop! i hope that i will ever make it to japan and explore japanese art. do you know any shows / exhibitions where i could see his work ?